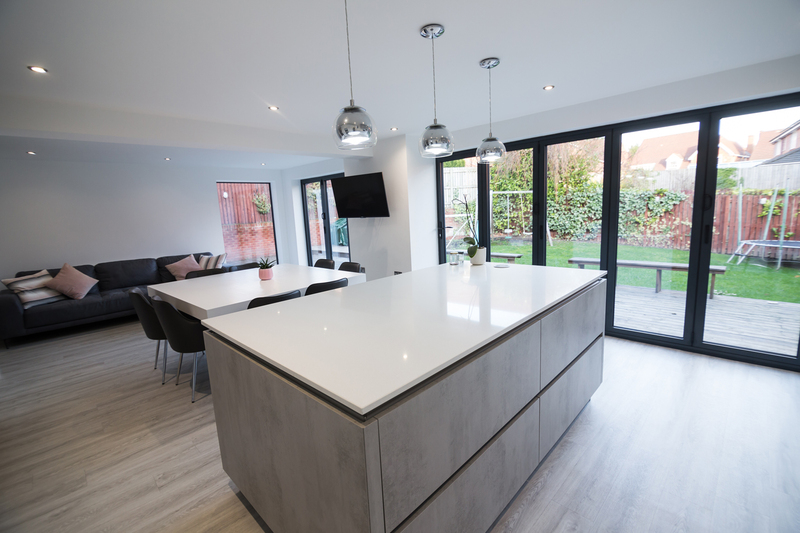 The owners of this house had the wall between their kitchen and playroom knocked down and installed bi-fold doors out onto the garden, to create an amazing space flooded with light for their new kitchen. 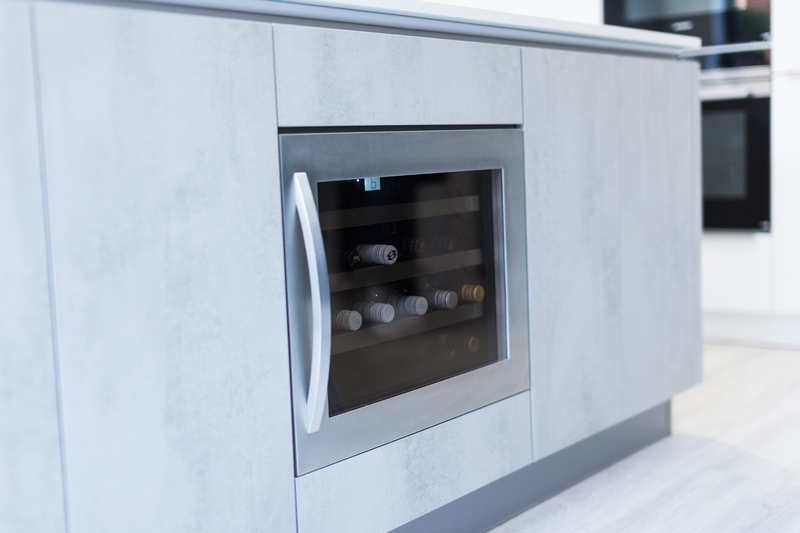 They wanted a modern minimalist design with an island- and the wine cooler was a must! 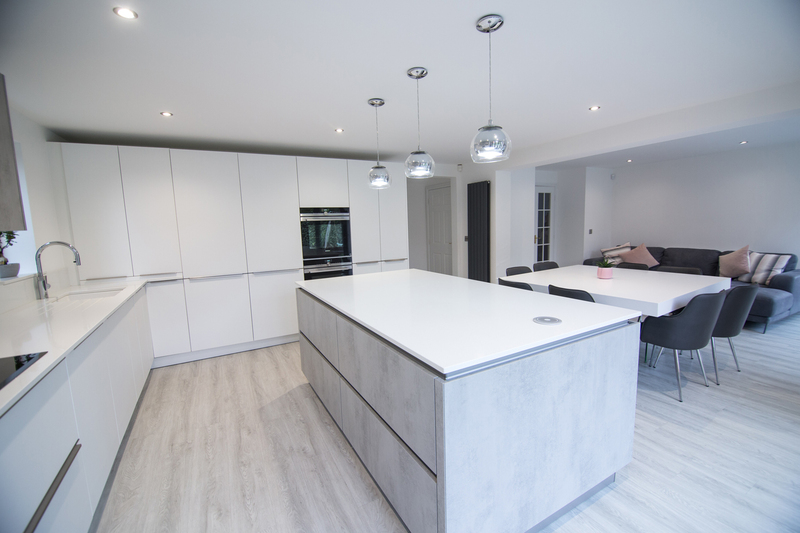 They chose premium white units with contrasting light concrete wall units and island. 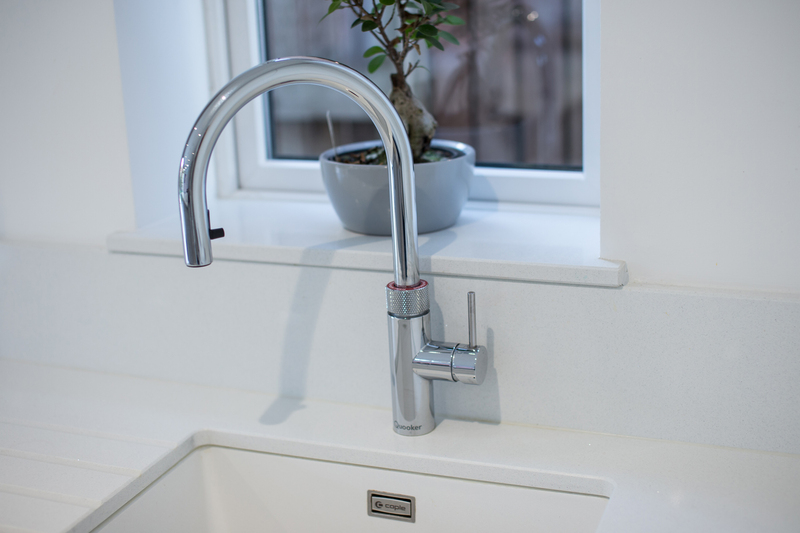 The stainless steel handles tie the whole room together, matching the quooker hot tap, appliances and lighting. 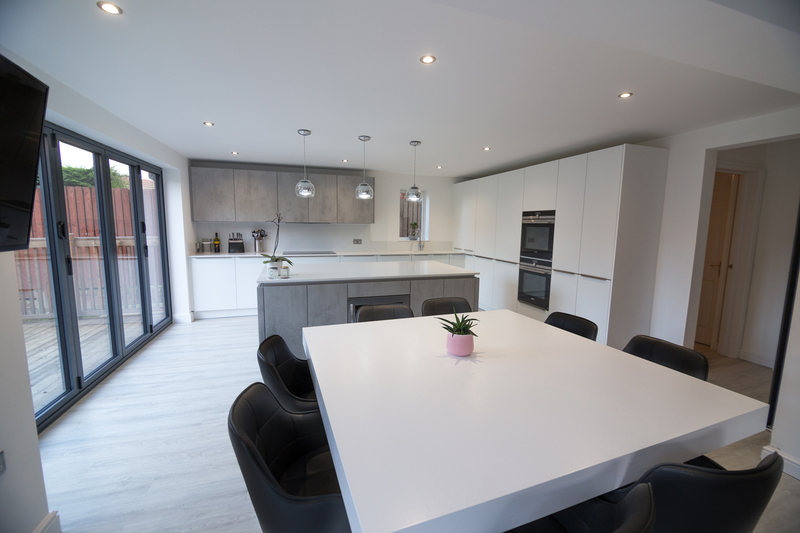 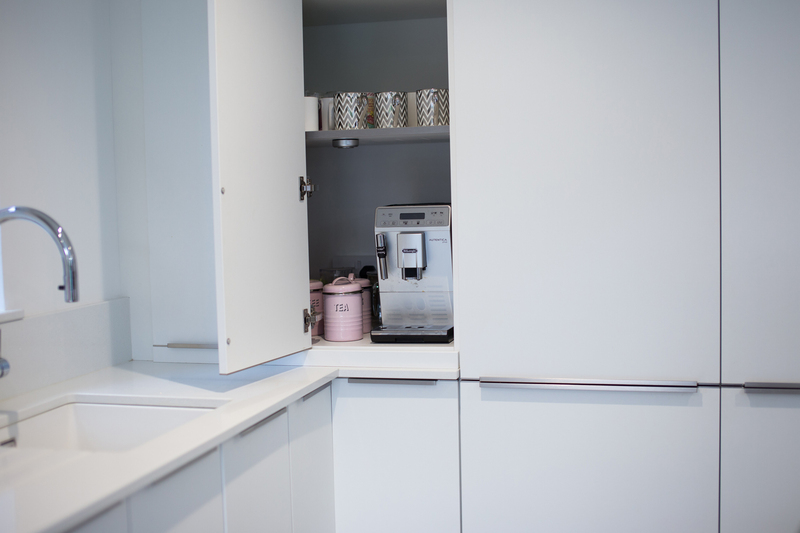 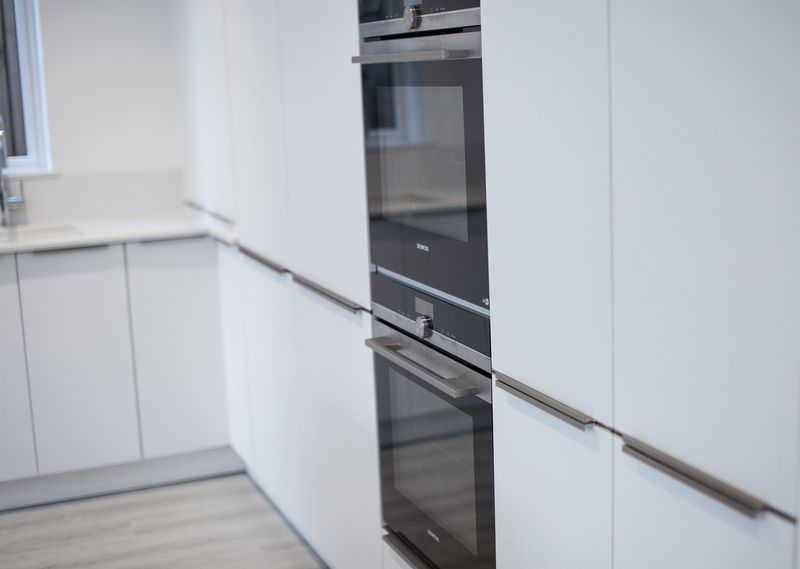 The large island houses the wine cooler and has handleless cupboards and drawers all the way round. 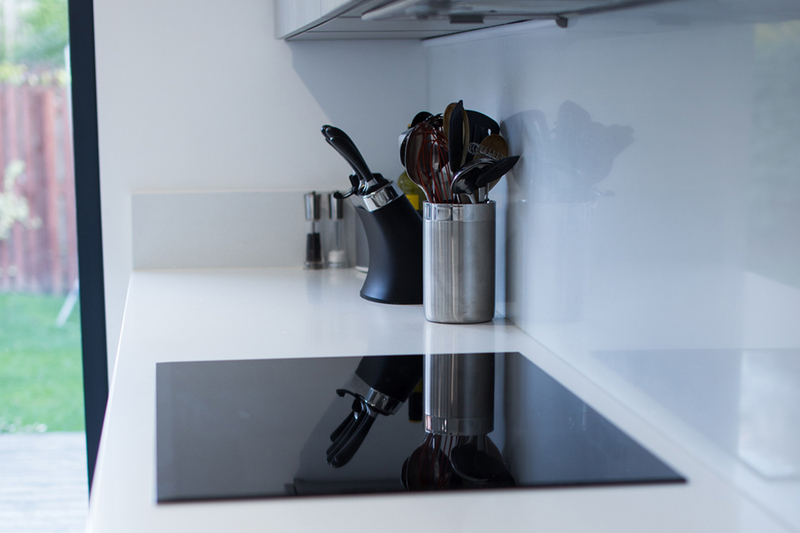 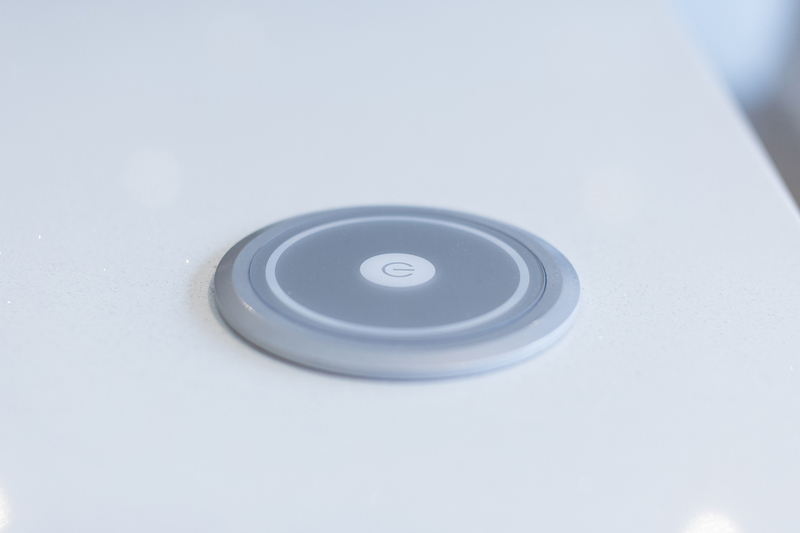 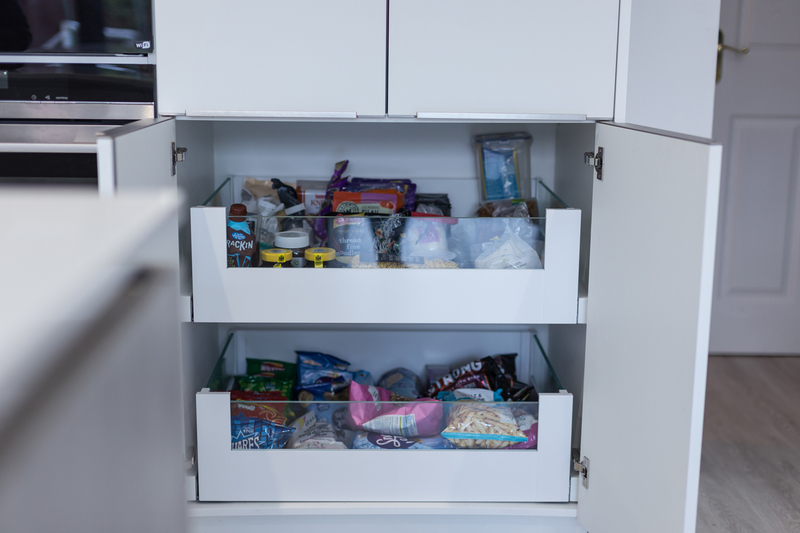 We kept the island top free from appliances to maintain the minimalist look. 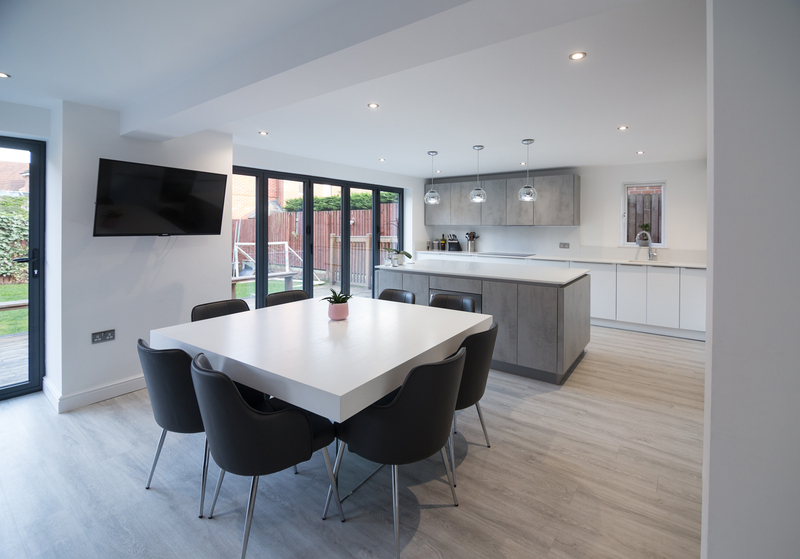 The end result is so calming- a sleek space which the family spend almost all their time in.